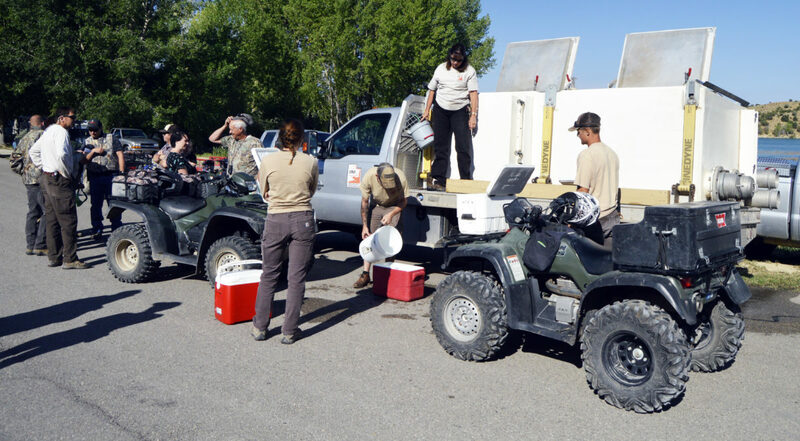 Biologists from the Utah Division of Wildlife Resources and volunteers prepare their ATVs with coolers full of live brook trout, which they will use to stock nearly 20 ponds in the Manti-LaSal National Forest back country east of Mayfield. MANTI-LA SAL NATIONAL FOREST—A cooperative effort between the Utah Division of Wildlife Resources (DWR) and a multitude of local volunteers has made fishing possible at many back-country Sanpete ponds for more than two decades now. 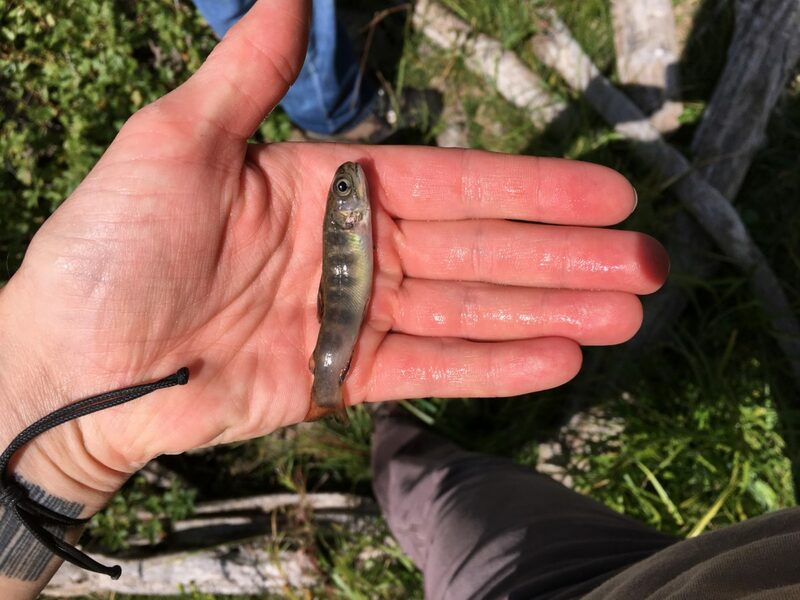 On Aug. 8, DWR biologists and more than 30 volunteers loaded up ATVs equipped with small coolers and distributed 3,000 Eastern brook trout into 18 ponds scattered around the Manti-LaSal National Forest east of Mayfield. 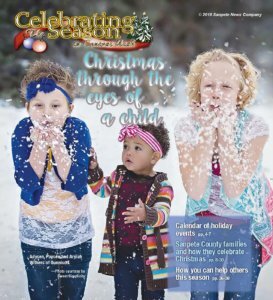 While the fish-stocking event started as an experiment, it has become a tradition many look forward to each year. And it does begin with Brad Bradley. A retired DWR conservation officer, Bradley said that during his early career, he kept being pestered by fishermen who were unhappy with the availability of fish in ponds and lakes up in the national forest east of Mayfield. Bradley decided the only way to make them happy was to try and improve the fishing in those areas, and if it didn’t work, he could at least tell them he had given it an honest effort. Bradley said he didn’t really expect it to work; he thought the harsh winters in the mountains would kill most, if not all, fish he attempted to introduce to the area. Nonetheless, he set about researching which fish to introduce. He eventually settled on the Eastern brook trout for its hardy nature, which he thought would have a decent chance of surviving the winter and getting big enough to be worth catching. When nice, large brook trout started biting fishermen’s hooks, it became obvious Bradley had chosen the right fish—and added new duties to his workload. That’s when he came up with the volunteer concept. Now, even after retirement, Bradley volunteers as part of the annual event, helping Watson and DWR Central Region sport fish project leader Mike Slater direct and organize the project. Sometimes, like this year, Bradley discovers new ponds, which the biologists and volunteers add to their list of spots to stock. This year, DWR biologists and volunteers stocked 18 lakes and ponds, five up Six-Mile Canyon and 13 up 12-Mile Canyon. According to Watson, the fish stocked averaged 3 inches long. “They should be catchable size by next summer,” she said. Watson said fishermen and fisherwomen who want to catch the trout need only go up and find them. And she offered some advice to people who decide to go after the brook trout. Eastern brook trout are not the only fish to be caught in some of the areas, Watson said. Some of the larger ponds along the main trails like Upper WPA, Deep Lake, Shingle Mill and Spring Hill are also stocked with rainbow trout in the spring, providing an additional opportunity for anglers. With so much volunteer support from the fishing community, Watson said she, Slater and the DWR in general hope to continue the program for a long time. Anyone with questions or an interest with getting involved in can contact Watson at jackiewatson@utah.gov or 801-616-6002, or Slater at (801) 367-5941 or michaelslater@utah.gov. 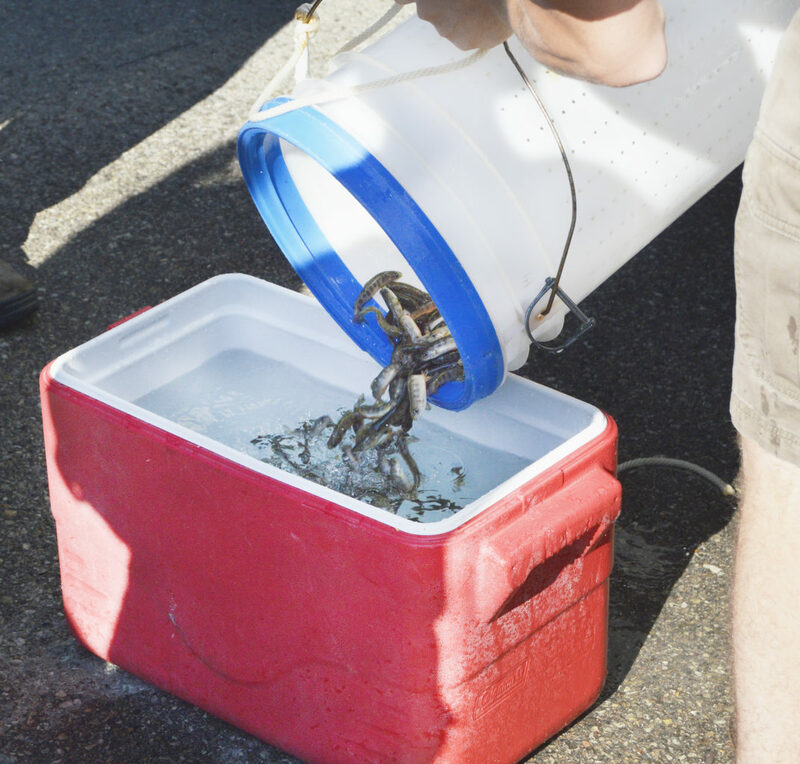 State biologists fill coolers with Eastern brook trout, which will go into back-country ponds in the Manti-LaSal National Forest. Brad Bradley, former conservation officer, chose the Eastern brook trout for stocking back-country ponds because the species was hardy enough to have a chance of surviving winters high in the mountains.